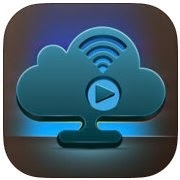 You can streaming your videos, music and photos from UPnP / DLNA media servers by using AirPlayer in your iPhone, iPad or iPod. You can directly access your media files on your Windows 7. For more details visit Edavs Forum, This small app can stream videos/movies from a NAS to your Apple TV without using/downloading iTunes. See details and help in this video. For your assistance I found few links on Youtube, Check Now. Add servers manually, and watch movies wherever you are. You can listen music in any format such as WMA, MP3, OGG, AAC,... and many more. You can browse your photos. Create thumbnails of your pics/snaps/photos. Make easily snapshots of your live streaming/videos. Its available an advance search function. Tested media servers for Air Player. There are many media servers available which support Air Player for streaming videos and audios, see here for details list of media servers.